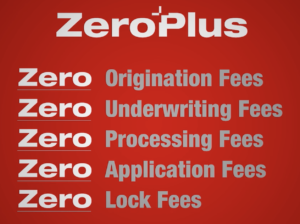 Keller Mortgage’s ZeroPlus Program is $0 Lender Fees, Low Rates, & $1,000 closing credit for loan amounts over $150K. Click on “Keller Mortgage Save Thousands” on the bottom right of the screen. Follow the Instructions and be Connected to a Lender Immediately. Get Pre-Approved! We will set up a time for a FREE no obligation consultation to go over your pre-approval, your goals, and any questions you have about the home-buying process. We help you Get your Dream Home and Help Save Thousands Doing It! This is one of the few times where “it looks too good to be true” is NOT the case! We are always happy to talk details – Just Text/Call us Today at (818) 527-2912! *Assuming loans over $150,000, 10% down and a minimum of 620 credit score. Excluding Land and Manufactured Homes. This is not a commitment to lend. Buyers are advised to obtain a Loan Estimate. Loans are based on credit and underwriting criteria. Not all borrowers will qualify. Keller Mortgage is a licensed trade name of Keller Mortgage, LLC, 4725 Lakehurst Ct., Suite 400 Dublin, OH 43016. NMLS No. 140234. TX SML Registration, 209 Brins Way, Dripping Springs, TX 78620. 1888-766-2678. 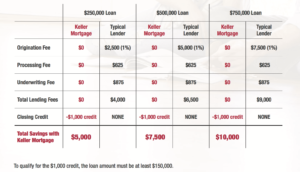 See www.kellermortgage.com for full details and disclosures. Equal Housing Lender. NMLS number 140234. Certain officers, directors and owners of Keller Williams Realty, Inc. have ownership interest in Keller Mortgage. Keller Mortgage, LLC is an affiliate of Keller Williams Realty, Inc.